Over the past 50 years, humans have converted and modified natural ecosystems more rapidly and over larger areas than in any comparable period of human history (e.g., Steffen et al., 2004). These changes have been driven by the rapidly growing demands for food, fish, freshwater, timber, fibre and fuel (e.g., Vitousek et al., 1997) and have contributed to substantial net gains in human well-being and economic development, while resulting in a substantial and largely irreversible loss of biodiversity and degradation in ecosystems and their services (Reid et al., 2005). The consequences of policies to address the vulnerability of ecosystems to climate change at both the national and international level are not yet fully understood. There is growing evidence that significant impacts on the environment may result from perverse or unintended effects of policies from other sectors, which directly or indirectly have adverse consequences on ecosystems and other environmental processes (Chopra et al., 2005). Land re-distribution policies, for example, while designed to increase food self-sufficiency also contribute to reducing carbon sequestration and loss of biodiversity through extensive clear-cutting. Effective mechanisms to analyse cross-sectoral impacts and to feed new scientific knowledge into policy-making are necessary (Schneider, 2004). There is substantial evidence to suggest that developing and implementing policies and strategies to reduce the vulnerability of ecosystems to climate change is closely linked to the availability of capacity to address current needs (e.g., Chanda, 2001). Thus, prospects for successful adaptation to climate change will remain limited as long as factors (e.g., population growth, poverty and globalisation) that contribute to chronic vulnerability to, for example, drought and floods, are not resolved (Kates, 2000; Reid et al., 2005). Large differences in natural and socio-economic conditions among regions mitigate against simple solutions to the problem of ecosystem degradation and loss of services. Many interactions, lags and feedbacks, including those that operate across a range of spatial, temporal and organisational scales generate complex patterns which are not fully understood. Past actions to slow or reverse the degradation of ecosystems have yielded significant results, but these improvements have generally not kept pace with growing pressures (Reid et al., 2005). However, sound management of ecosystem services provides several cost-effective opportunities for addressing multiple development goals in a synergistic manner (Reid et al., 2005). Progress achieved in addressing the Millennium Development Goals (MDGs) is unlikely to be sustained if ecosystem services continue to be degraded (Goklany, 2005). The role of ecosystems in sustainable development and in achieving the MDGs involves an array of stakeholders (Jain, 2003; Adeel et al., 2005). Evidence from different parts of the world shows that in most cases it is far from clear who is 'in charge' of the long-term sustainability of an ecosystem, let alone of the situation under future climates. Responding and adapting to the impacts of climate change on ecosystems calls for a clear and structured system of decision making at all levels (Kennett, 2002). Impacts of climate change on ecosystems also show strong interrelationships with ecosystem processes and human activities at various scales over time. Addressing these impacts requires a co-ordinated, integrated, cross-sectoral policy framework with a long-term focus; a strategy that so far has not been easy to implement (Brown, 2003). The impacts of climate change on ecosystems and their services will not be distributed equally around the world. 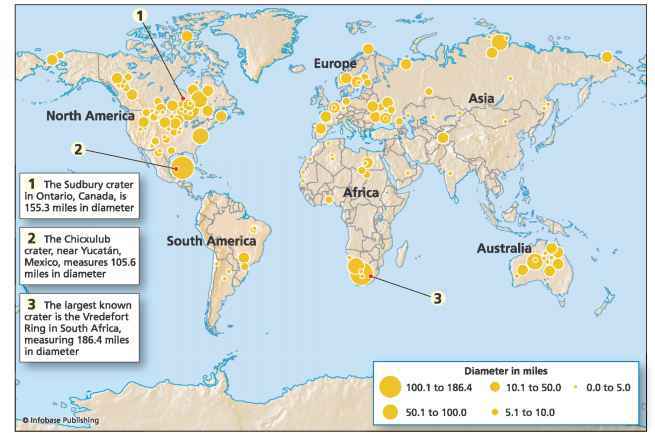 Dryland, mountain and mediterranean regions are likely to be more vulnerable than others (Gitay et al., 2001) and ecosystem degradation is largest in these regions (Hassan et al., 2005). Climate change is likely to cause additional inequities, as its impacts are unevenly distributed over space and time and disproportionately affect the poor (Tol, 2001; Stern, 2007). The term 'double exposure' has been used for regions, sectors, ecosystems and social groups that are confronted both by the impacts of climate change and by the consequences of economic globalisation (O'Brien and Leichenko, 2000). Thus special attention needs to be given to indigenous peoples with subsistence livelihoods and groups with limited access to information and few means of adaptation. As a result climate change and sustainable development need to incorporate issues of equity (Kates, 2000; Jain, 2003; Richards, 2003).